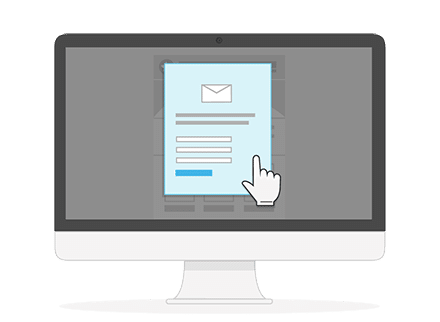 You will be surprised how easy it is to send out email campaigns with our newsletter software for nonprofits. Our drag & drop editor is very intuitive to use and it will enable you to design beautiful newsletters and edit them, without any HTML knowledge. Add as many images as you’d like as we provide you with unlimited image hosting. With our newsletter editor you will easily awaken the artist within – newsletter creation is a seamless process with us. 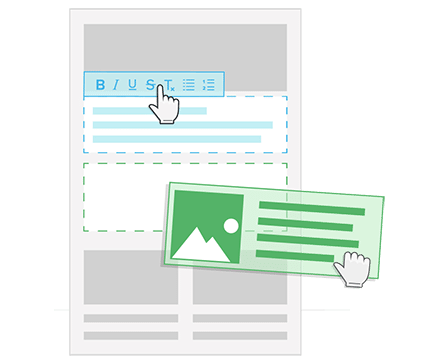 Insert photos, text, links and adjust them in the template to your needs. Our newsletter software for nonprofits will automatically convert your email into HTML, so that your message could reach your recipients exactly how you planned it. We’ve created many newsletter templates so that you could easily select one to your liking. We offer both generic and seasonal templates, such as a Halloween or Christmas one. More than 50% of all newsletters are read on mobile devices. Therefore, our email marketing solution for NGOs offers templates that are fully responsive and optimized for all devices. Optimized emails are adjusted to the size of the device being used by your subscribers, which translates into a seamless reading experience. Consequently, it results in better click through and conversions rates. All you need to do is to choose the right template and insert your message to the subscribers. We’ll make sure your newsletters are displayed beautifully. If you want your newsletter be in line with your corporate design, let us know. We will create an individualized newsletter template, which will be customized according to your wishes. Once it’s been created, you just insert the content and you can reuse the template as many times as you want. Before choosing a newsletter software for nonprofits, you’d want to make sure it is legally compliant. Insert a subscription box anywhere on your website with our email marketing solution for NGOs, so that your readers and members will find it easier to subscribe. You will be able to do it in no time – inserting the box doesn’t require much programming knowledge. At the same time, this feature helps you stay legally compliant. Going for the double-opt-in process puts you on the right side of the law. The whole software is working in accordance with the European Data Protection Directive (95/46/EC) and with the German data protection guidelines (BDSG). We present you with a newsletter software for nonprofits that is intuitive in use. To easily manage groups or lists, create address books that work independently from each other. Your contacts can subscribe and unsubscribe flexibly to receive the news they care about. Connect with your subscribers using our integrations and plugins that our newsletter software for nonprofits offers, for example Microsoft Dynamics or sugar CRM. In that way, your subscriber data will be automatically synchronized. We’re making nonprofit email newsletters easy with CRM systems and integrations that you use for sponsor management. What is so great about this feature is that you don’t need to waste time adding every single member into the system manually. 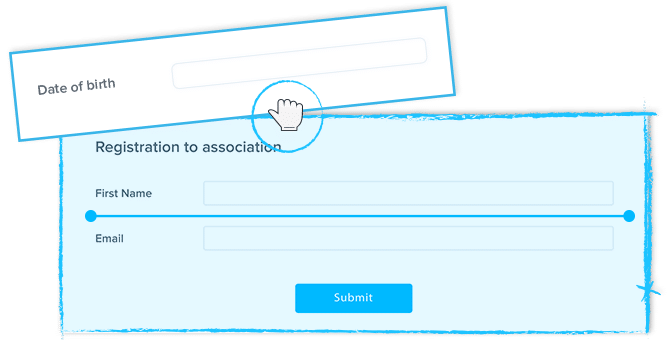 Use our integrations to actualize your subscriber base on a daily basis or use our 1 click import feature to import content from your CMS system like WordPress easily. Did you know that our email marketing service for nonprofits enables you to insert whichever text line you want in your newsletter… with one click? This time-saving function allows you to transfer content into your email. 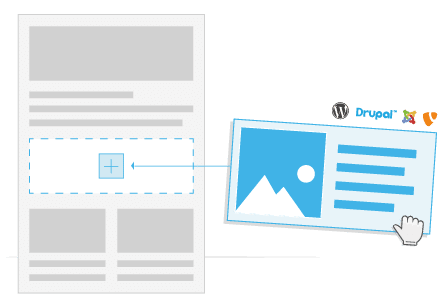 Don’t waste any more time copying and pasting individual pieces of content, customizing or formatting images with 1 click content transfer. With this feature you can transfer author, title, images and much more into your nonprofit email newsletter.